This Friday brings a new review to SuperPhillip Central. 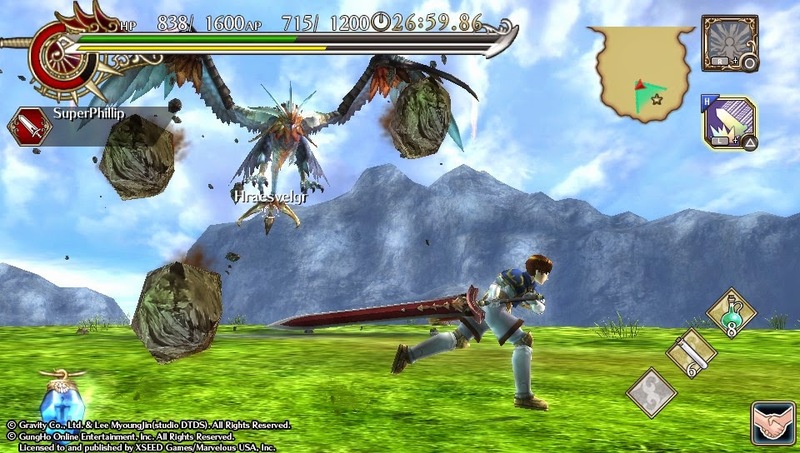 With Monster Hunter on a competing platform, the PlayStation Vita has Ragnarok Odyssey ACE. Does it serve as a suitable substitute? Since Monster Hunter pretty much roamed away from Sony platforms and onto Nintendo devices, disappointed PlayStation owners who are also fans of the series have had to look elsewhere for their big beast bashing fix. We've seen lots of new games take inspiration from Capcom's colossal franchise, but none have really met the same amount of critical and commercial success. 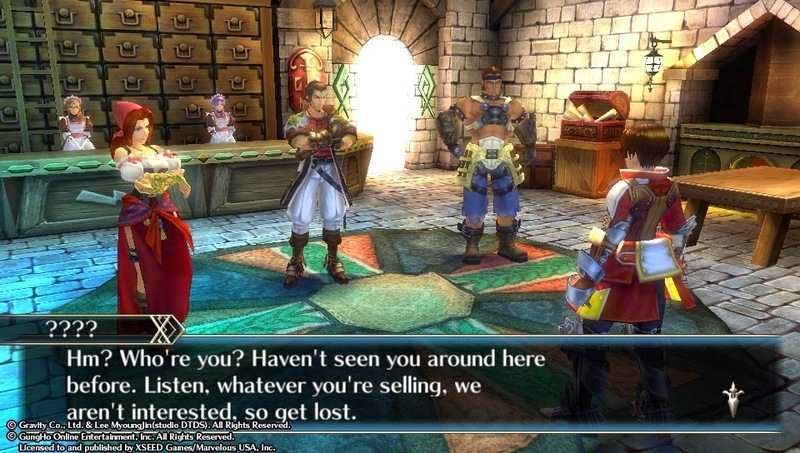 Originally released in 2012, Ragnarok Odyssey was a title that fell in line with other Monster Hunter wannabes. 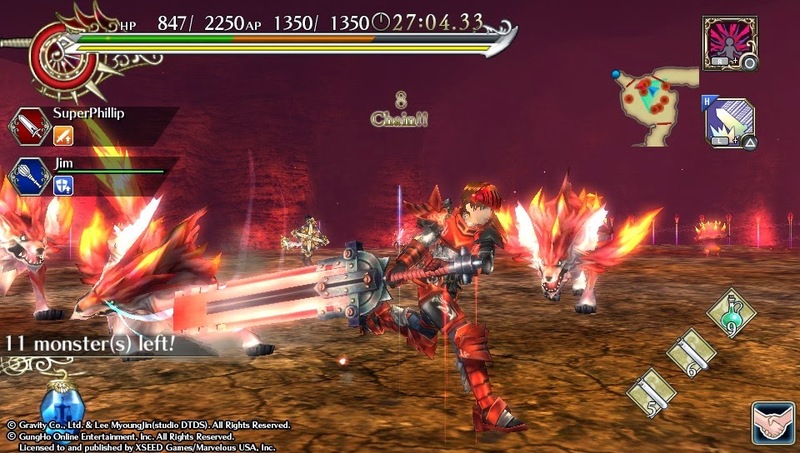 This year it has seen an expansion of sorts with Ragnarok Odyssey ACE, adding a healthy helping of new content. Is ACE the place for your monster-hunting needs? 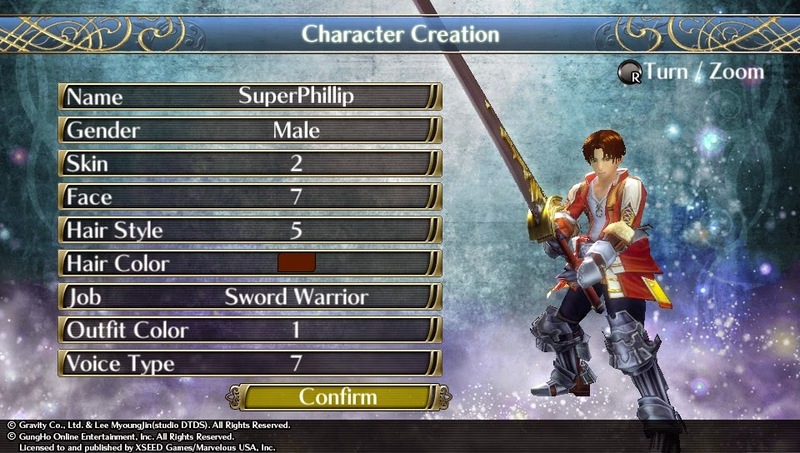 The start of Ragnarok Odyssey ACE has you creating your custom character, making his or her appearance with a rather scarce amount of options. It's important to note, though, that the game opens up customization as your progress once headgear, clothing, and armor are introduced and more options are added. You can select between one of six classes that best suits your play style: Sword Warrior, Hammersmith, Mage, Assassin, Hunter, and Cleric. The Sword Warrior makes for the easiest time in single-player while the others are great for a well-balanced team online. Regardless, you're not stuck in the class you choose; all are interchangeable from your personal room at Fort Farthest. than that, a dead ringer, I guess. 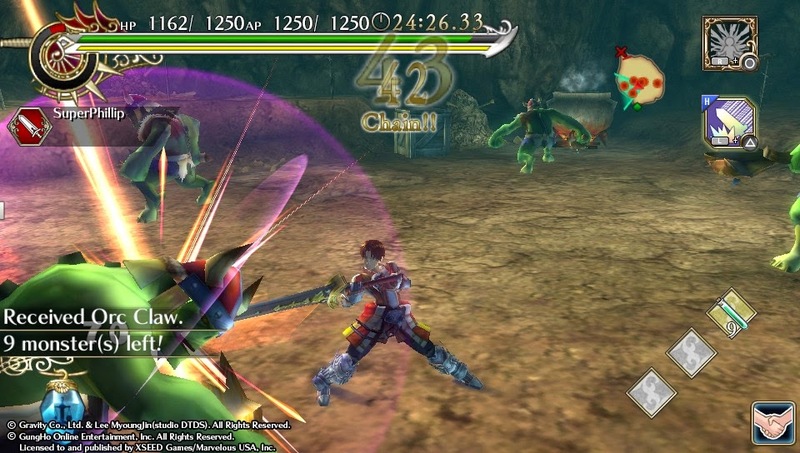 As not-so-subtly mentioned, Ragnarok Odyssey ACE allows for offline and online play, featuring the same quests in both. Most players will find the early quests elementary in difficulty, thus not really needing online assistance. However, the later quests in the game, particularly battles against the bosses known as lummoxes, are made much easier and let you get by with a little help from your friends (or total strangers). The community is generally helpful regarding new players or those just asking for help on a quest. If you're particular about who joins your room, you can always set up a password, kick those out that aren't welcomed, or make a room private. the quests you're all too damn sorry to do. As for the offline play, you can hire up to two computer-controlled mercenaries to assist you in the various quests (i.e. be damage sponges for you), if need be. The only small downside to this is that your monetary award at the end of a successful quest is lessened. Otherwise, it's nice to have enemies split up their attacks instead of just mauling you and you alone like a mob. 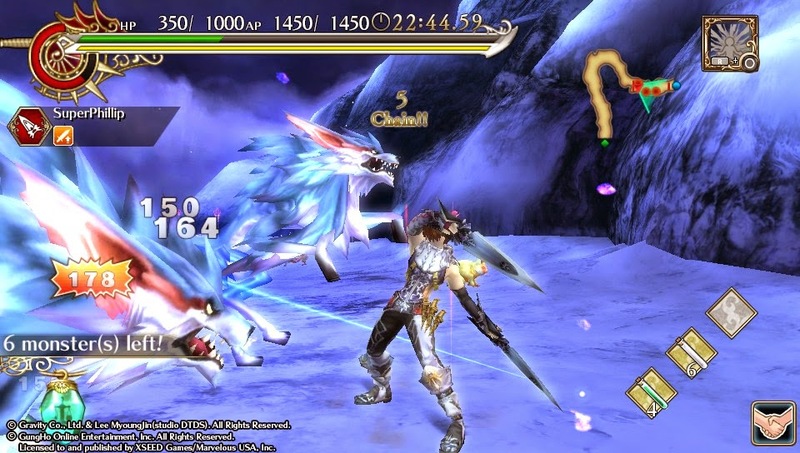 Quests themselves are classified into two basic types: killing a set number of monsters or collecting a specific amount of a certain item or material. The quests that have you gathering materials and defeating a number of monsters have you roaming around and essentially killing everything that moves. These quests are rather mindless most of the time, especially later ones where you're forced to take down fifty enemies of one kind. It becomes mind-numbing to do and little strategy is required. other than kill or be killed. 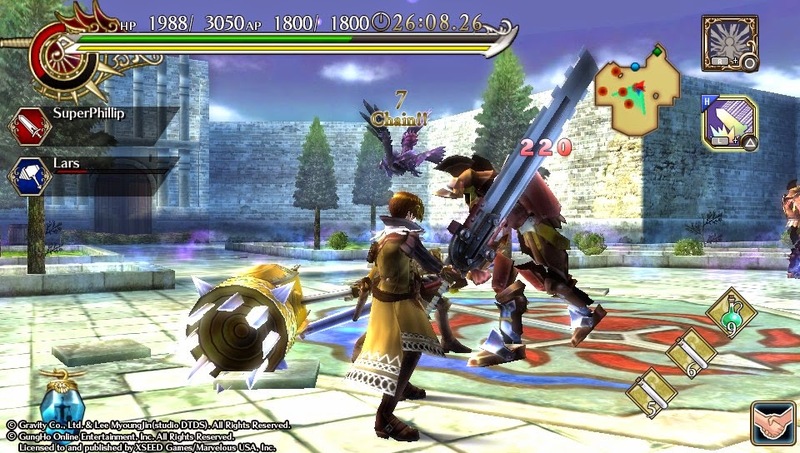 The real draws to Ragnarok Odyssey ACE are the boss encounters where you take on a larger-than-normal monster or set of monsters in an expansive arena. Each boss has numerous weak points that can not only be strategically preyed upon, but they can be broken off, giving you a rare material in the process. What do they feed these birds up here? It's important to note that Ragnarok Odyssey ACE may seem familiar to Monster Hunter, its obvious inspiration, but it doesn't have anywhere near the same amount of skill or finesse required to succeed. If you use the same tactics that Ragnarok Odyssey ACE requires, simply mashing the attack button and occasionally dodging, running away, and evading attacks, you'll definitely be in for a rude awakening with Monster Hunter. Ragnarok Odyssey ACE by no means requires anywhere near as much timing and patience as Monster Hunter, where the latter forces you to attack smartly when there's an opening. In Ragnarok, openings are all too common, and many times you can stand still and hack away. gotta EAT MY SWORD AND DIE. 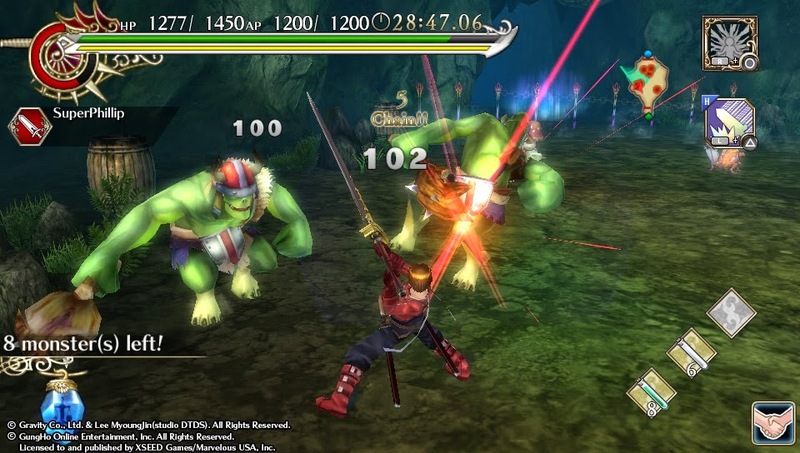 Ragnarok Odyssey ACE forgoes a traditional leveling system. Instead, what is used is a card system, where each equipped card gives your character a specific skill. These can be dropped by defeated enemies or purchased at the in-game shop. Cards take up a finite number of clothing slots. You can safely swear on Odin's name that the better the skill, the more slots of clothing the card and accompanying skill needs. Different skills involve raising HP, AP, attack, defense, lessen knockback, add elemental powers to your attacks and armor, and so forth. Tales of Symphonia? Sure. Why not? As you progress in the campaign of Ragnarok Odyssey ACE, new outfits are unlocked for purchase at the tailor's shop. Not only do you need enough money to buy these, you also need the required materials, too. Upgrading clothing takes the same requirements, each time having different materials necessary to upgrade your desired piece of clothing. Thus, your clothing piece gains more slots for you to work with and equip helpful cards to. It's a juggling act of picking the right cards for the right situation. If one set of cards isn't resulting in a successful quest, then perhaps trying a different combination is... *ahem* in the cards. Thankfully, you're able to save an abundant amount of costume and card combinations, so you need not recreate your favorites or go through a hassle each time you wish to experiment. For those that have played the vanilla release of Ragnarok Odyssey, you might be wondering what are the benefits of upgrading to ACE. Well, not only can you transfer your save date from the original over to the updated ACE, but there's an improved HUD, the inclusion of all of Ragnarok Odyssey's DLC on the game card itself, new skills to use, new enemies to defeat, a special new dungeon in the form of Yggdrasil Tower, and some refinements made to the overall balance of the game. Whether those additions make ACE worth it to you is purely your call. tail between your legs and run. 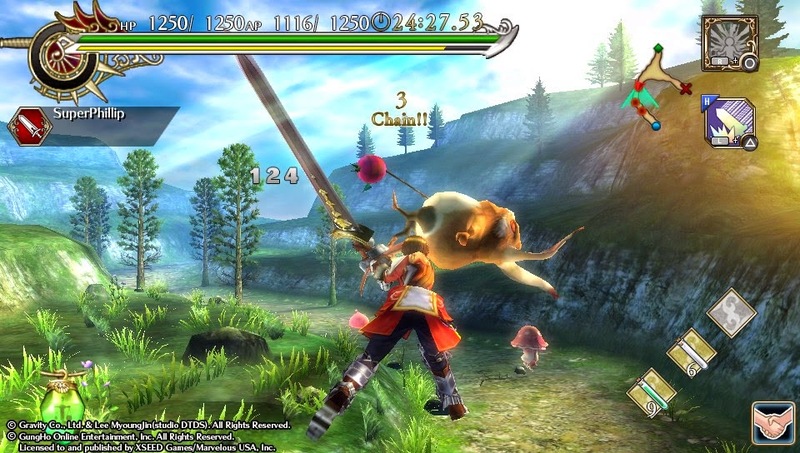 Ragnarok Odyssey ACE isn't the most impressive game visually on the Vita hardware, so it makes sense to say that it doesn't look that great compared to its contemporaries on the PS3. That said, loading times are thankfully short, gameplay typically runs a smooth frame-rate, and the action is overall easy to follow. Nonetheless, where Ragnarok Odyssey ACE truly shines is in its soundtrack. Featuring a majority of music from Kuni Tanioka of Final Fantasy Crystal Chronicles fame, the music is extremely well done and gets you in the spirit for a grand adventure. 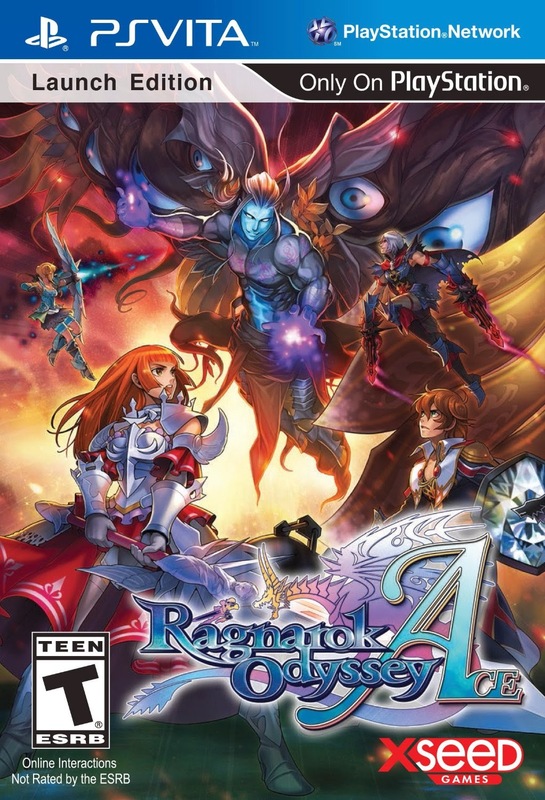 Since Western PlayStation owners can't get their official Monster Hunter fix, Ragnarok Odyssey ACE is a suitable, if not much more accessible, alternative. With tight and responsive controls, an online community that still offers the ability to find rooms rather easily, a fair amount of customization, and plenty of quests and content to partake in, Ragnarok Odyssey ACE is a Monster Hunter clone done pretty well. The lack of really needing to time attacks makes Ragnarok Odyssey ACE an easier game to get into, but it also makes it occasionally tedious to play. Still, you'll feel great acting like Thor's hammer, slamming your way through wave after wave of enemy fodder alone or with players around the world.